Whether you are looking for a gift for volunteers, students or staff, an affordable item for a fundraising campaign or unique and meaningful gifts to uplift and inspire, you've come to the right place! Schools, churches, religious organizations, bookstores and other groups across the world have discovered Bishop Deb and her wonderful ministry. This site is for those who would like to take advantage of special wholesale and discounted offers. 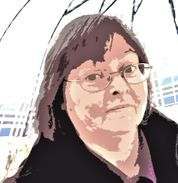 Located in beautiful Niagara-on-the-Lake, Ontario, Deborah Vaughan is indeed a bishop and is also an author, popular speaker and artisan who creates beautiful handcrafted crosses, angels and other inspired items. For Schools, please visit here. The collection is always expanding. Please call Bishop Deborah or email if you have any questions at 905-468-9502. A fabulous fundraising item or a Special Occasion Gift! 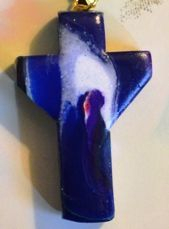 A gifted artisan, Deborah "prays with the clay" to create exquisite and unique pieces which are blessed and treasured by people across the globe. The pieces found on this website are not impersonal, mass-produced, assembly-line products. They are created in the deeply prayerful and intentional atmosphere of Bishop Deborah's workspace, surrounded by the books and tools of her ministry. The clay is blessed, consecrated to God's glory, and dedicated to God's loving purposes. In prayer, Deborah asks God to use her effort and the clay to comfort, help, and inspire those who receive each piece, using each simple gift as a means of spreading God's loving message of hope. The pieces that result are not only beautiful but holy. 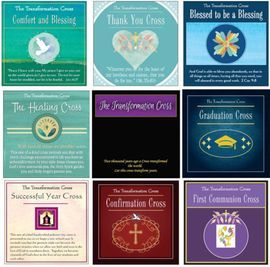 Her popular handcrafted "Transformation Crosses" are available in bulk quantities for schools and church groups (women's groups, bible study, confirmation class etc.) They are a unique and meaningful fundraising item for your parish or organization, or gifts for the many events in the life of a parish or school. These adorable angels made out of high quality crystal, beads and findings are sure to make a meaningful gift for staff, students and volunteers alike. With a minimum order of 25, these unique, one-of-a-kind angels make a natural fundraising item! Women's groups report that they fly off the table at coffee hour or sales. Check out the details.